At our farm in Fagerlund, Vännäs, is Gullsjö Bread. Gullsjö because the lake where the bakery is located is called so. The idea of ​​my bakery I want to show with my log: A house surrounded by arms is the thought and care of the person who bakes in the bakery regardless of gender, age culture and language. Caring for the raw materials we handle. 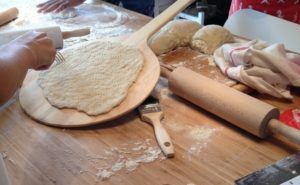 I want to take care of the calm and the tranquility that the bread makes for me and share my knowledge of craftsmanship. 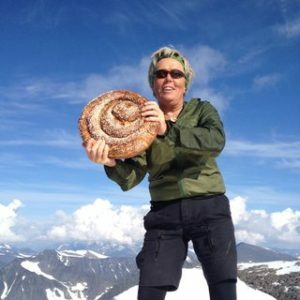 After working for many beautiful years as a baker at the Kebnekaise mountain station, I wanted to do what I like most at home. In the summer of 2016, family, friends and I put up a small farm bakery and the dream could be realized. Bread baking, overnight stay in the loft, sauna, breakfast with own bread. Linen and towels are included.